This evening in the Library we have Frances Macken, who has dropped in to say hello and to share some insights into her life as an author. I grew up in Claremorris, Co. Mayo. 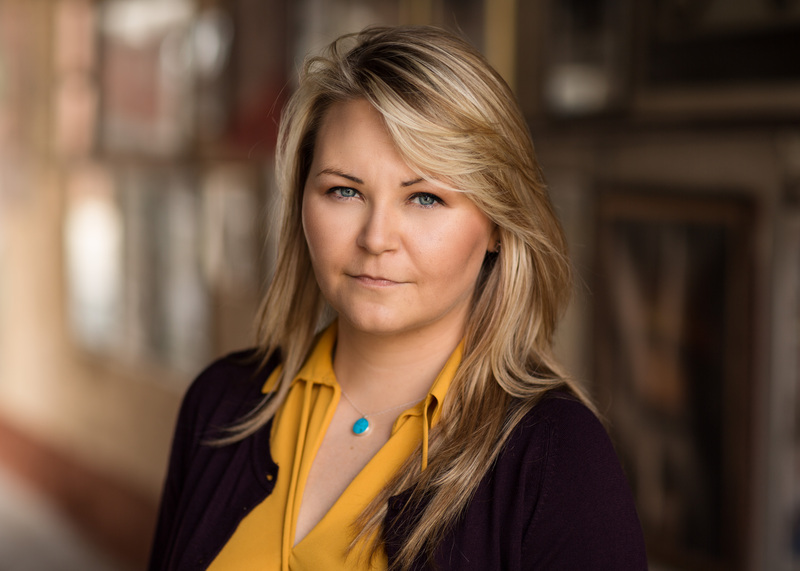 I completed a BA in Film and Television Production at the National Film School, Dún Laoghaire Institute of Art, Design and Technology in the mid-noughties. I have since worked in the advertising, PR and non-profit sectors and I’m working in a marketing role at a non-fiction publishing company at the moment. I’ve written several short stories and been shortlisted in national short story competitions run by RTÉ and Penguin Ireland. My ambition is to write eight fiction novels and I am reading for a Masters in Creative Writing at the University of Oxford at the current time. 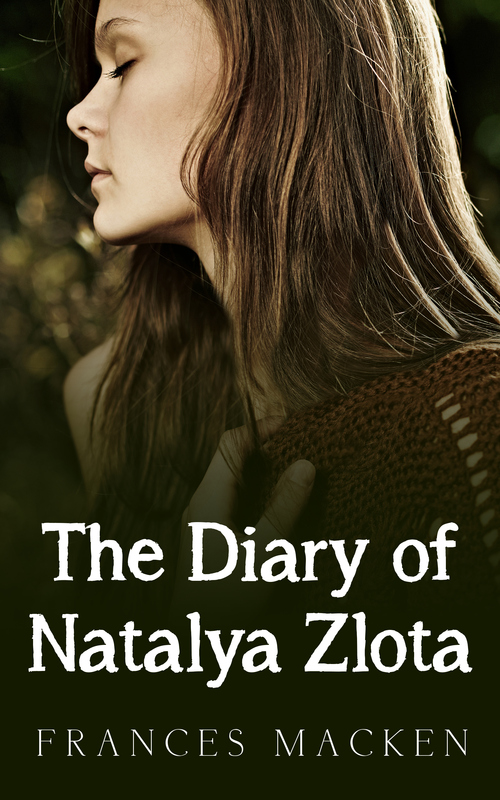 I have published a novella, a paranormal thriller entitled The Diary of Natalya Zlota, available on Amazon. My writing is creepy, humorous and experimental and can be likened to the ‘magical realism’ genre. It was evident from very early on that I was going to be a book person. Once I’d “unlocked the code” I read anything I could get my hands on. I enjoyed Roald Dahl, Enid Blyton, and all of those other delightful authors. Their books were very imaginative and adventure-fuelled. I was reading Stephen King from a very early age, too. I read Salem’s Lot when I was 12. I read lots of Arthur C. Clarke books and got hooked on the unexplained. I discovered Adrian Mole around that time and that was another milestone in my reading life. I would say that I am a very avid reader now. I probably read a book per week, and that does not include my reading list for my Masters course. My reading has increased considerably since commencing a Masters in Creative Writing at Oxford University. There are about 140 books on the reading list and the course is over 2 years. I’ve been forced to leave my comfort zone and read much more difficult works, by authors who set out to do something that contrasts forcefully with what their contemporaries were/are doing. There is also reading to be done to prepare for critical assignments on fiction, non-narrative fiction, poetry, drama, and so on. I really don’t think I have gone a day without reading anything in my adult life. I read to escape, to feel excitement and exhilaration. I love a good mystery, whether real or factual. I will read mostly anything as long as it is not too upsetting or gruesome. I don’t like to read about cruelty and violence, though a good murder mystery is most enjoyable. Stories must be juicy page-turners, but not your typical airport novel. I also listen to audiobooks on my commute. In recent years, I have started reading Patricia Highsmith’s books and I would say that her novels are most satisfying in terms of their plotting and characterisation, e.g., The Talented Mr. Ripley. I am a big fan of Donna Tartt and I thought The Secret History was truly breathtaking. Lionel Shriver is another author who I really consider to be magnificent. I don’t seek out female authors specifically but Highsmith, Tartt and Shriver are really the types of writer that I would love to be categorised alongside. Now there’s ambition. Other writers I like include Jeanette Winterson, Augusten Burroughs, Wally Lamb, Graeme Simsion, Paul Murray, Dave Eggers, Jeffrey Eugenides, John Steinbeck, Daphne du Maurier, Hilary Mantel, Martin Amis, John Fowles, and Aleksander Hemon. Flights of fantasy have always been important to me and so I lean towards magical realism, where extraordinary, unlikely things happen in very ordinary settings. I like to think that people can be surprised by serendipitous or baffling events just when they least expect it. I also like to introduce ethereal, metaphysical matters into my writing wherever I can. Life is very dull without mystery and curiosity. I would say that my parents have been a huge influence on my writing. They didn’t censor my reading whatsoever and I think that has been a huge help. I don’t believe that I have ever written in an attempt to capture the culture, people or events of Ireland. In a way, I write to escape Ireland! My stories are not specific to Ireland or Irish people. My characters are without nationality for the most part. And the events that take place are not connected to Ireland. Perhaps that will all change in time. For now I just want to relish in the new, and to innovate, because I think that’s important. I find that I am sometimes guilty of writing a plot that turns into a knot. It is troublesome in the editing phase. This occurs because I don’t like to start with a plan for the narrative arc. I start with an image or a concept, or a persona, or a “What if?” situation. I also prefer to write in scenes and that’s why short stories bubble out of me so quickly and just slap themselves onto the page. Plot takes patience, and I don’t have a great deal of that. For some reason, I am not really an afternoon writer. I am not very imaginative during this time. Mornings or evenings are very good. There is an excitement and clarity in the morning time. Every new day brings a new version of myself and a new train of thought. This means I can’t always pick up where I left off the day before but I don’t think this is a problem per se. I am more reflective and nostalgic in the evening time. The ideas are simpler and softer. The best thing about being an author is the exhilaration you feel as a good story flows through you, and you can barely keep up with it as you attempt to get it on paper. I always try to write something new – a story that has never been written – by anyone. That is totally left of field, free of tropes. When I feel I have achieved that, it’s an exceptional experience. I have always found writing to be great, free fun. I wrote my memoirs when I was 12, the year I got a typewriter for Christmas. Just one copy of “The Life & Times of Frances Macken” remains in the present day. I also founded a magazine in primary school, which involved lengthy Baywatch episode reviews. I somehow recruited my friends to redraw/rewrite the magazine so that we could increase our circulation throughout the class. The worst thing about being an author is the constant self-badgering: Why haven’t I written in two days? What do I expect, that it’s just going to write itself? I would also mention that I am an under-writer. I think it’s because I have done some journalism courses and you are very much persuaded to Cut. Out. All. Unnecessary. Words. And so I have gotten into the habit of writing sparingly, which is a bit of a pain when you are trying to write a book. I do feel it is a bit of a chore but I also want to share my work. I don’t overdo it though, there’s only so much that people can handle. Sometimes it’s fun, but you have to offer something in return. You can’t just keep bleating at people all the live long day. It also works more effectively if it is reciprocal. I make a point of letting people know that I like what they are writing. That person could be just about to stop writing altogether, or could be feeling deflated and unmotivated. It is important to give credit where it is due. I think Facebook has the best potential for writers but you must have an engaging technique. It’s easy to become insufferable. I can’t help but give people advice, whether they want it or not. “Do you know what you’ll do now…” I could probably turn that into a career! I would read my memoirs, “The Life and Times of Frances Macken” that I wrote when I was 12, for one last chuckle. I have published a very scary novella called The Diary of Natalya Zlota, now available on Amazon. It’s a paranormal, psychological thriller about a missing person who leaves their diary behind. It costs £1.99 or $2.95, so pick it up now for less than the price of a semi-fancy soap.